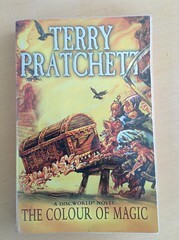 First in the Discworld series. Not convinced comedy fantasy is my thing, even if Neil Gaiman is a fan. Although Googling for that did bring up this Reddit: Even Neil Gaiman says don’t start your Discworld journey with The Colour of Magic!